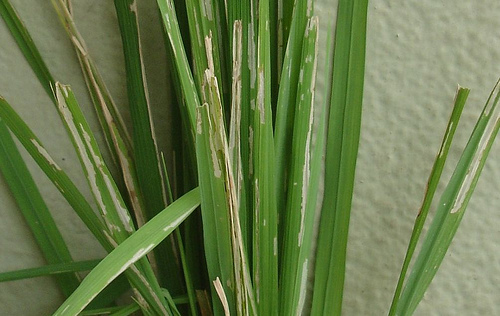 The attack is sporadic and occurs usually in young crop located in stagnant water. 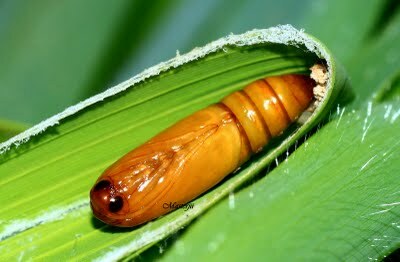 The larvae cut leaf tips to make leaf cases. A ladder like appearance of skeletonised tissues. Leaves are cut at right angle as with a pair of scissors. 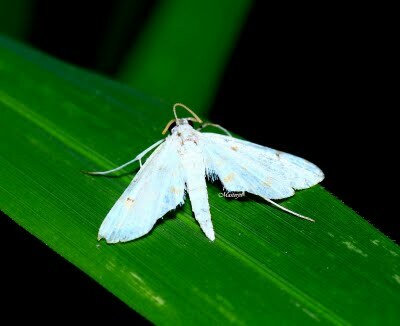 If the leaves are disturbed, the cases along with larvae fall on water surface. This is the characteristic symptoms of case worm attack. Snails are useful predators of eggs of the rice caseworm. The larvae are fed upon by the hydrophilid and dytiscid water beetles. Spiders, dragonflies, and birds eat the adults. 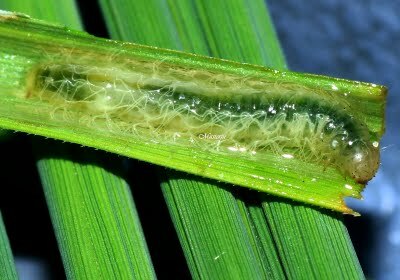 There is a nuclear polyhedrosis virus, which is a potential control agent against the rice caseworm. Dacnusa sp., a parasitic wasp.